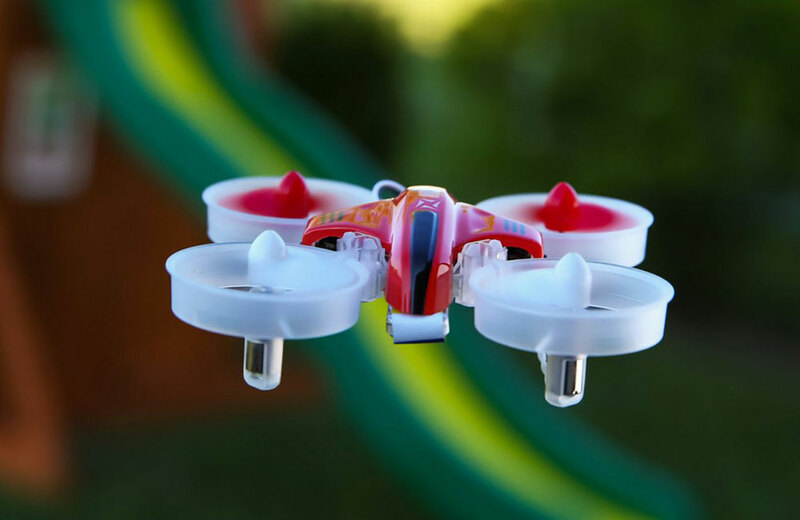 The perfect beginner FPV drone designed for indoor flying in even the smallest of places, the Blade Inductrix drone is an ultra-micro marvel. 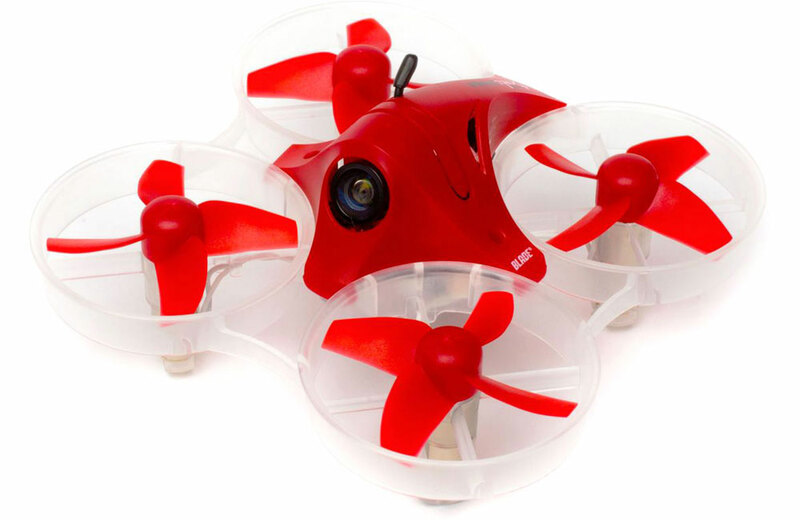 You get out-of-the-box FPV performance with a pre-installed 25mW micro FPV system suitable for FPV goggles. 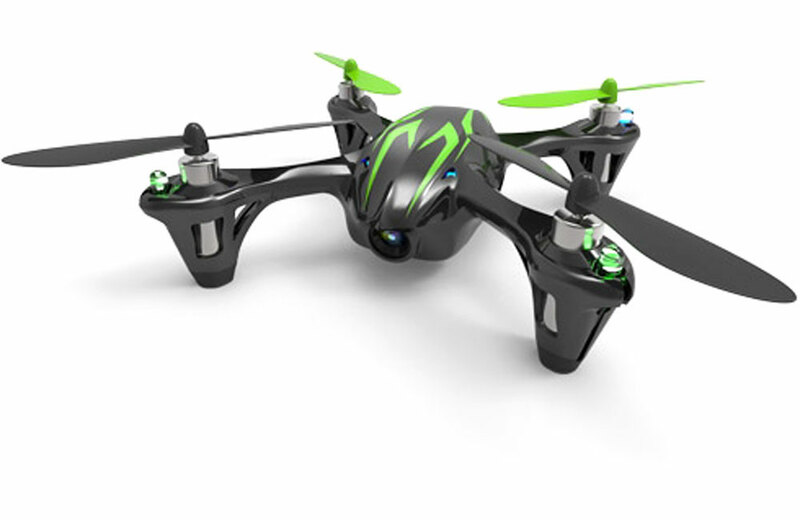 Four specially tuned Electric Ducted Fan rotor systems give this modern quad the appeal of a jet. 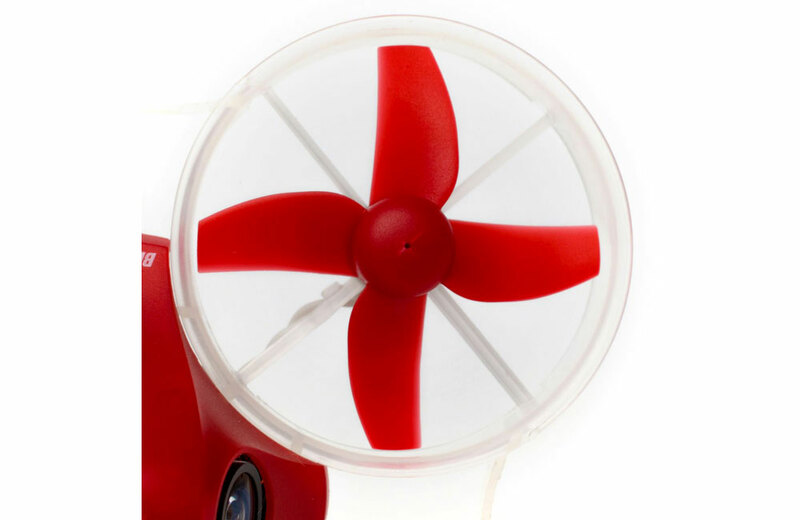 As a result, performance feels incredibly smooth with far less noise than a conventional propeller rotor system. Durable rotor housings inherently prevent damage whether it�s bumped into walls or falls into the grass. Brilliant LED orientation lights and a sleek body design help keep you going in the right direction. Innovative SAFE technology with self-leveling makes staying in control easy, even if it�s your first flight. 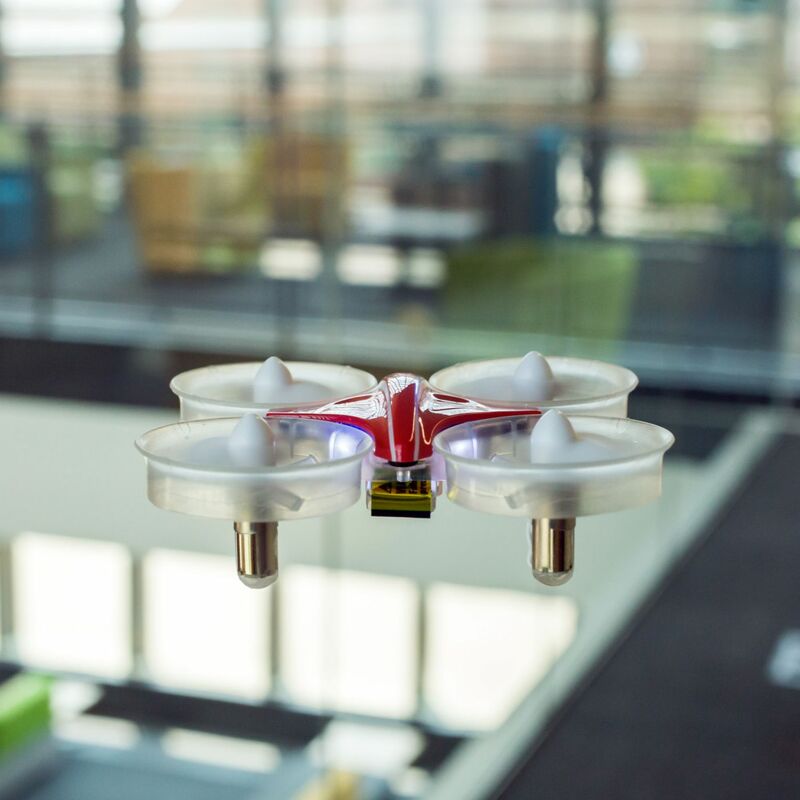 Four carefully-tuned electric ducted fans give the Inductrix drone smooth performance that produces far less noise compared to normal quads that use traditional propellers for thrust. Improved motors offer more punch when you need it, without sacrificing efficiency. The stealthy result is a machine that�s less intimidating with the appeal of a jet aircraft. 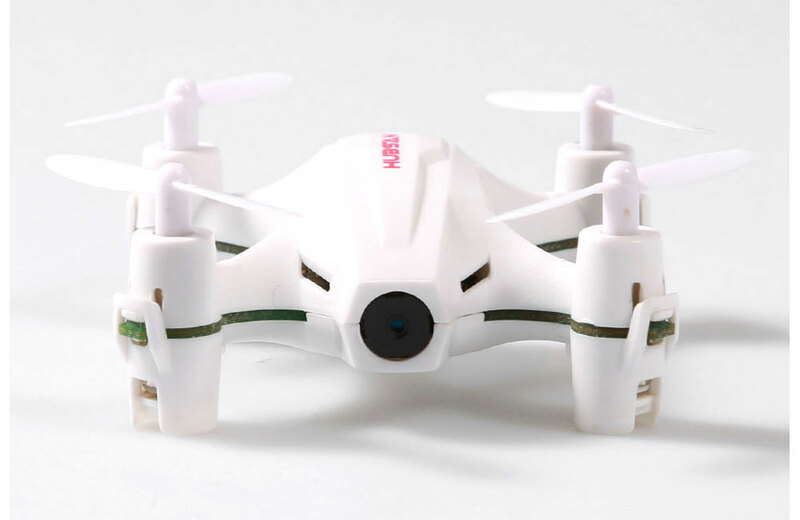 The included E-flite USB charging unit operates from any convenient 5.0V USB port and can have the included 200mAh 1S 3.7V LiPo flight battery recharged in a matter of minutes. The Blade Inductrix drone is an ultra micro machine that can be flown just about anywhere. Four specially tuned EDF rotor systems give this modern quad the appeal of a jet. 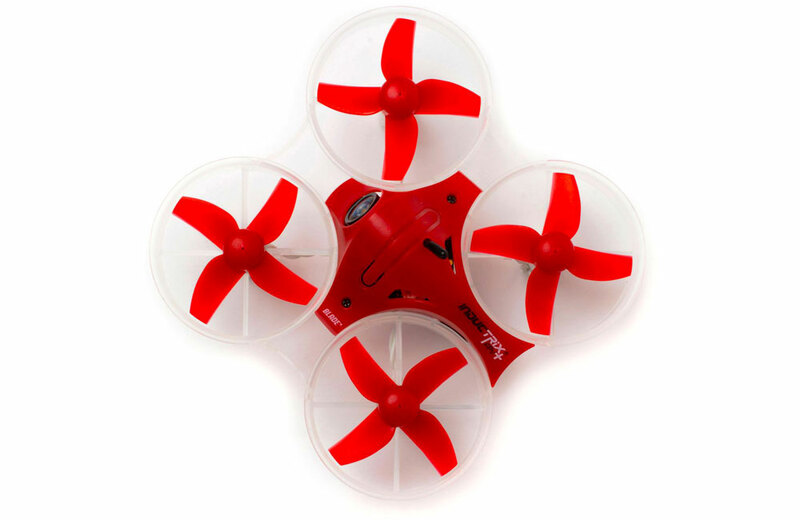 As a result, performance feels incredibly smooth with far less noise than a conventional propeller rotor system. 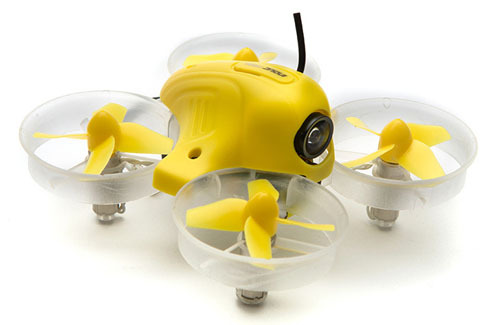 Durable rotor housings inherently prevent damage whether it�s bumped into walls or falls into the grass. Brilliant LED orientation lights and a sleek body design help keep you going in the right direction. 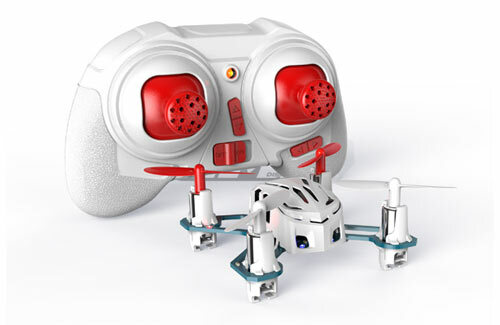 Innovative SAFE technology with self-leveling makes staying in control easy, even if it�s your first flight. 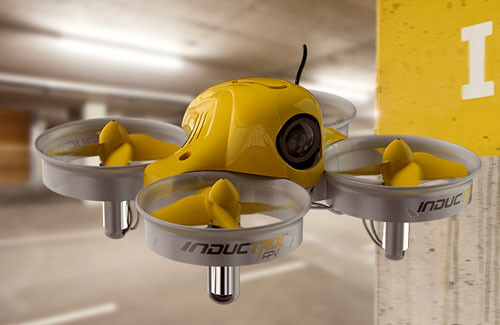 Four carefully-tuned electric ducted fans give the Inductrix drone smooth performance that produces far less noise compared to normal quads that use propellers for thrust. 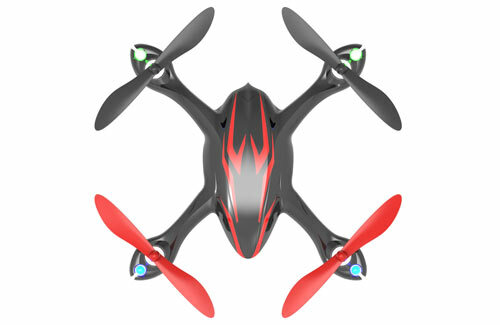 The stealthy result is a machine that�s less intimidating with the appeal of a jet aircraft. 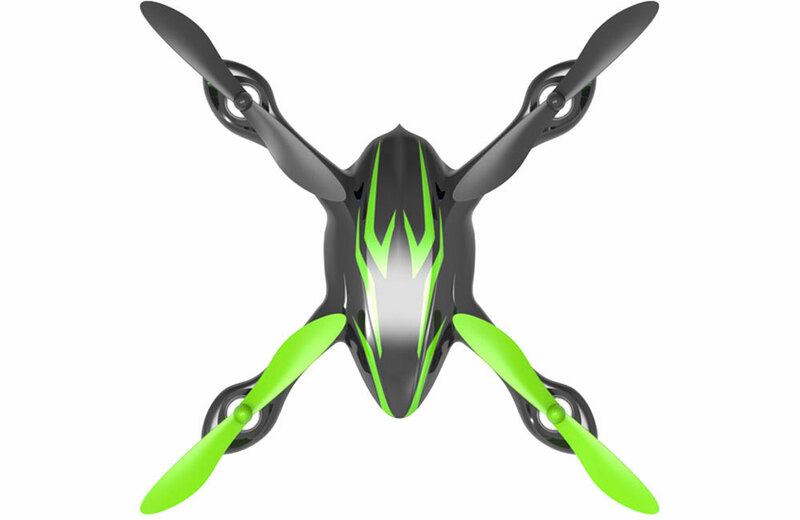 The E-flite 200mAh 1S 3.7V 30C Li-Po flight battery, included, can provide up to 5-minutes of flight and can be conveniently recharged with the included USB charger. 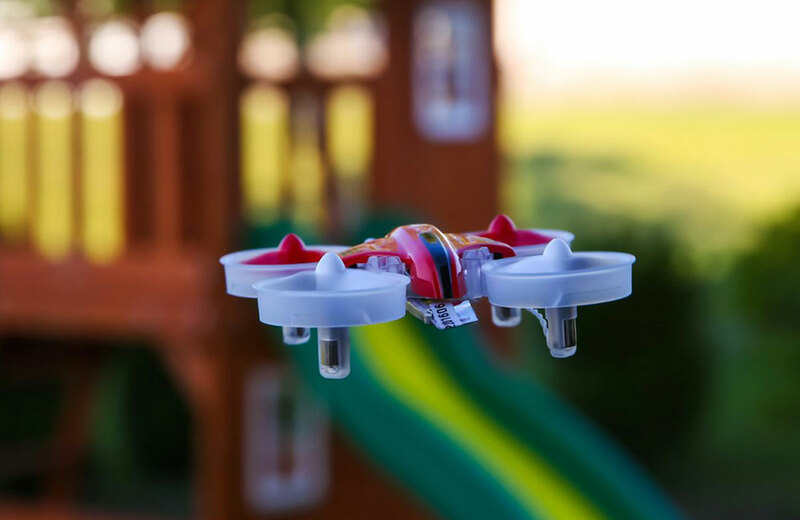 With a single Spektrum DSM2/DSMX aircraft transmitter, you hold the key to a fleet of Bind-N-Fly aircraft that includes everything from tiny Blade helicopters and quadcopters to giant-scale E-flite airplanes. 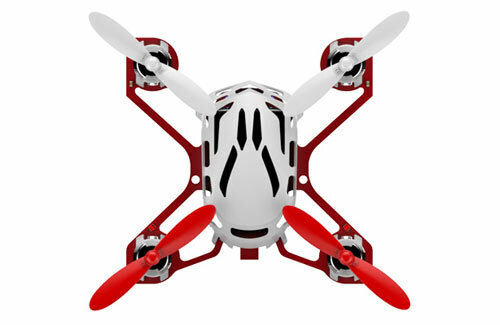 • Lightweight, fully assembled quadcopter. 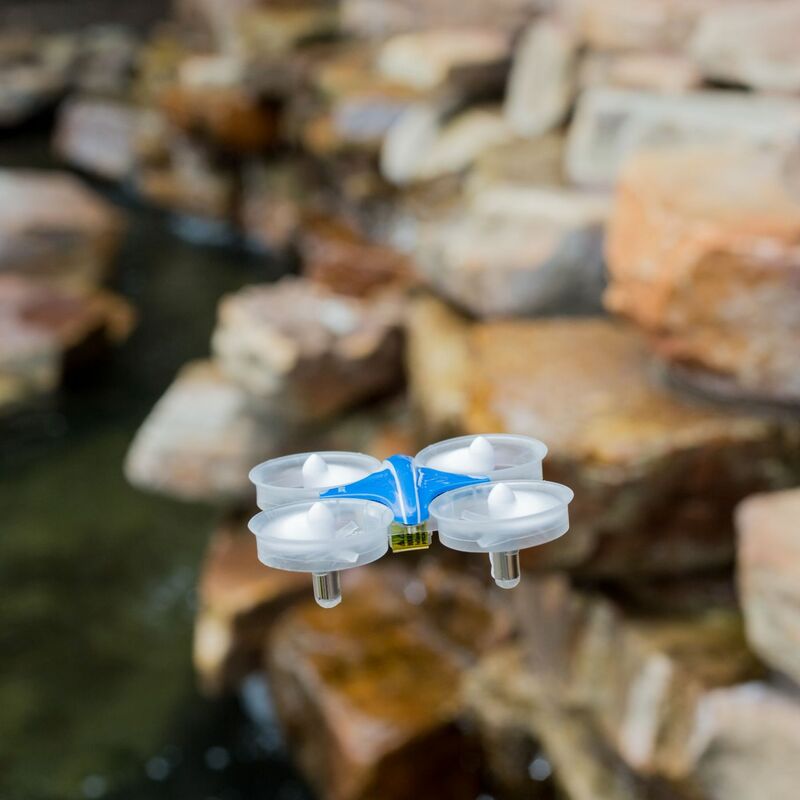 • SAFE technology makes drone flying easy. • Quiet EDF power system. 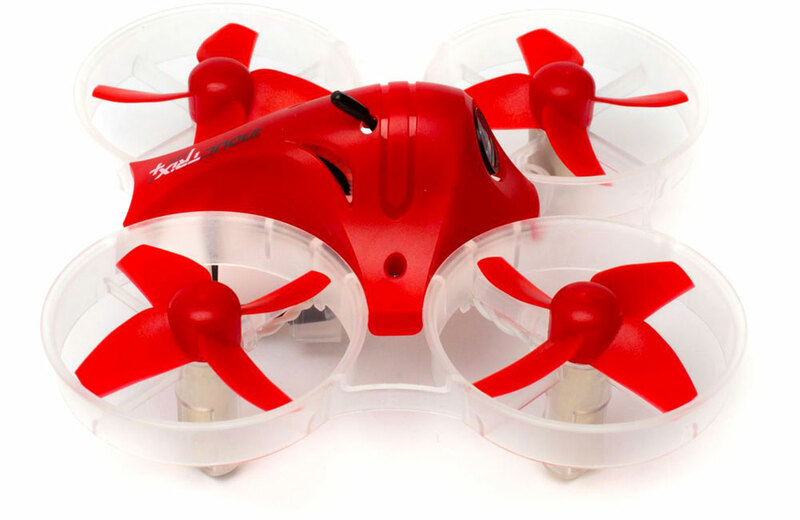 • Durable rotor housings prevent damage. • Brilliant LED orientation lights. • Includes both red and blue bodies. 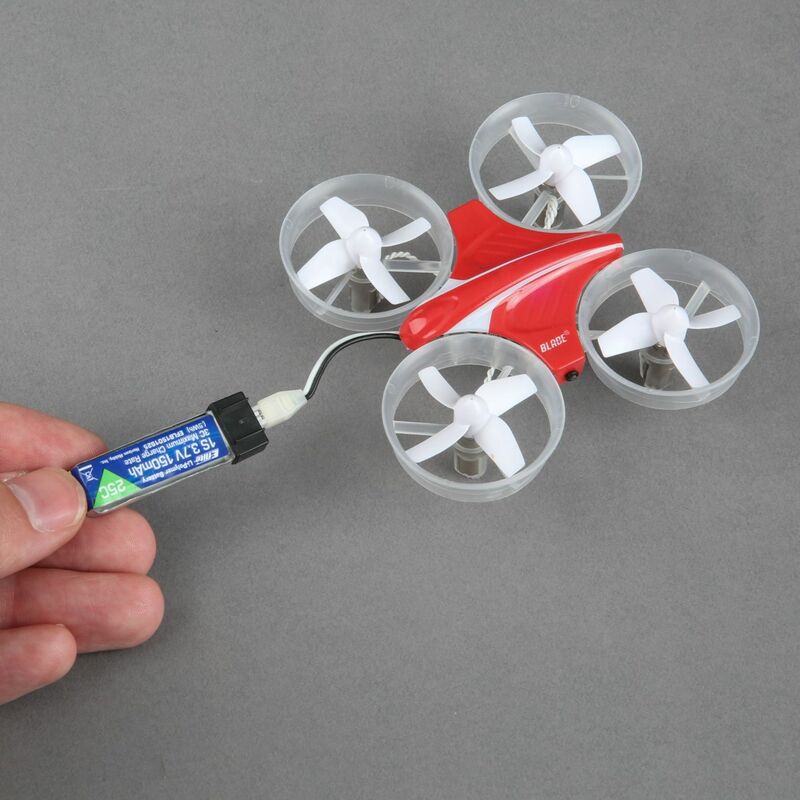 • 150mAh 1S 3.7V 25C Li-Po flight battery. 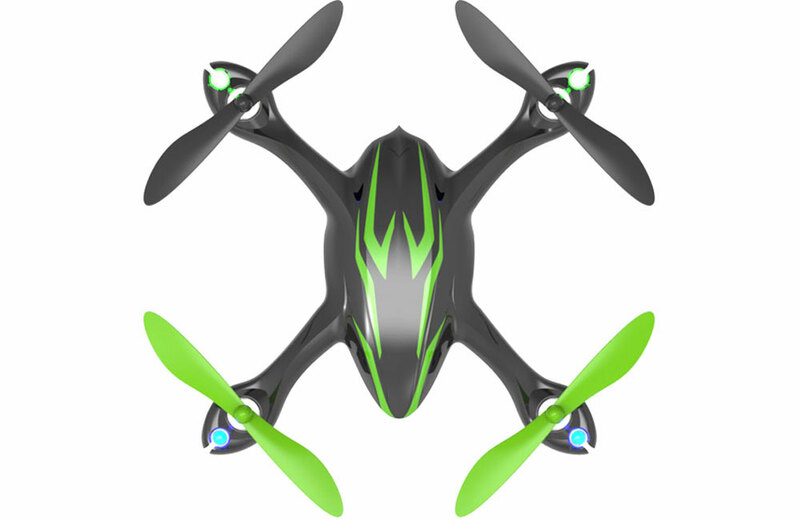 • 6�8 minute flying time. • Blade MLP transmitter with genuine Spektrum DSMX 2.4GHz technology (included). Fully assembled Blade Inductrix drone. 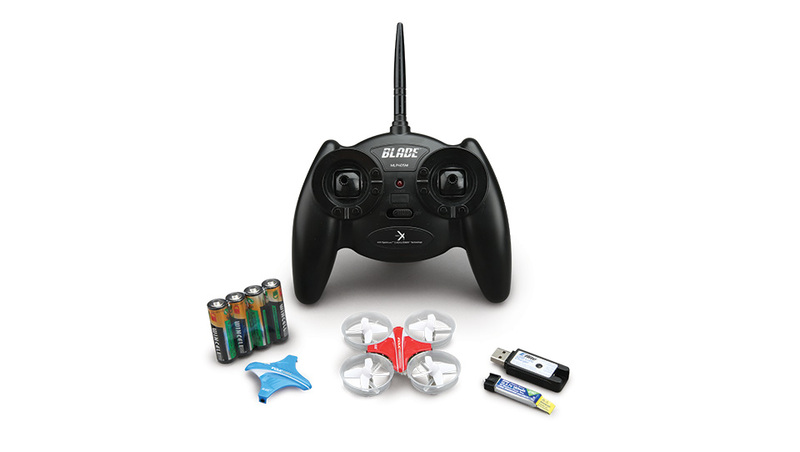 Blade MLP transmitter with genuine DSMX 2.4GHz technology. 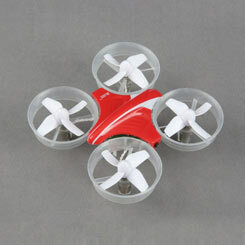 E-flite 150mAh 1S 3.7V 25C Li-Po battery. 4 � AA transmitter batteries. 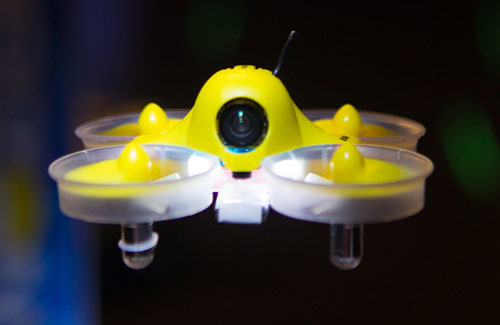 The Blade Inductrix FPV + quadcopter is the next generation of micro FPV drones. 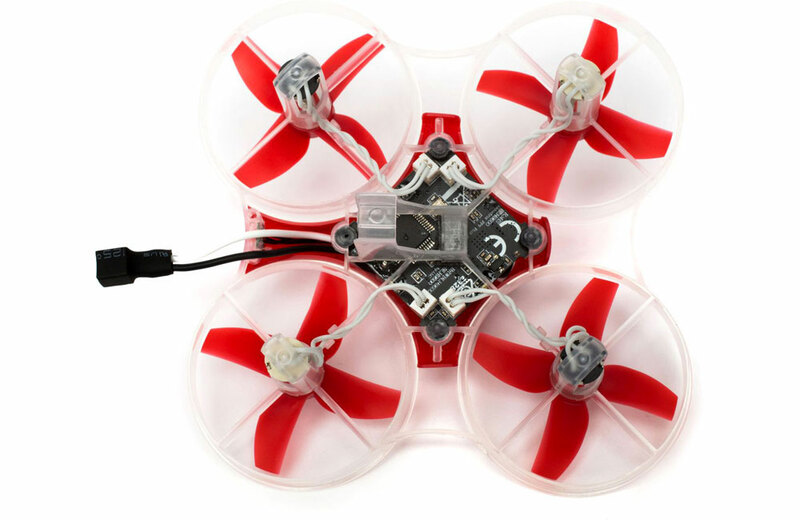 Building on the success of the Inductrix and Inductrix Pro, this 8mm motor version comes ready to FPV right out of the box with zero fuss. 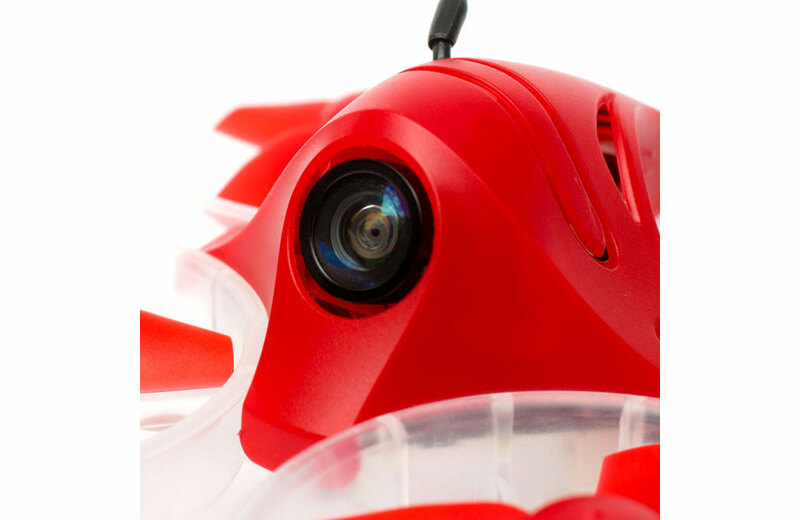 With its integrated camera/video transmitter, Spektrum 4.3" monitor with Digital Video Recording, and pre-installed LED tail light, it has everything you need and more for FPV fun. 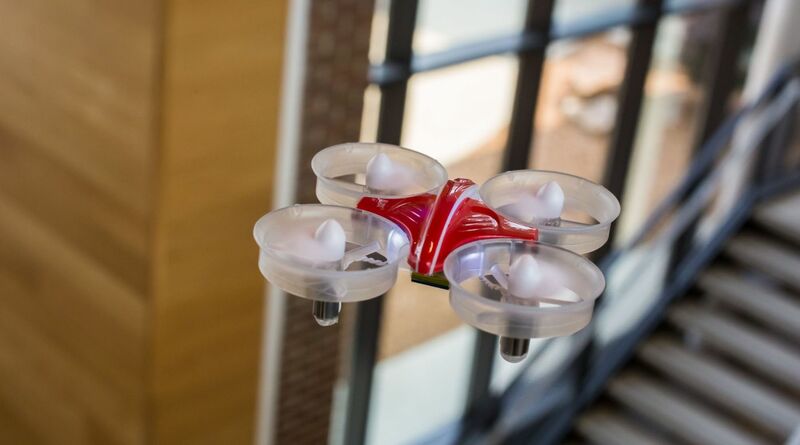 SAFE technology makes flying simple while the ducted propeller design allows you to bounce off walls and objects without crashing! 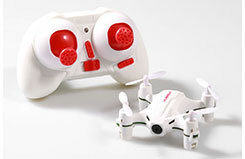 Innovative Meow Mode allows you to flip the quadcopter back upright after a crash by quickly reversing the motor direction. 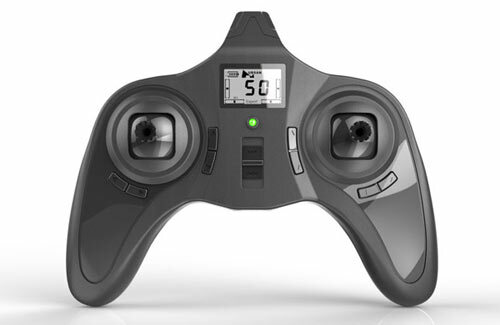 New altitude hold flight mode maintains the distance from the ground, providing an intuitive flight experience. Innovative Meow Mode will flip a crashed, upside down craft to an upright orientation at the push of a button, no more walk of shame! 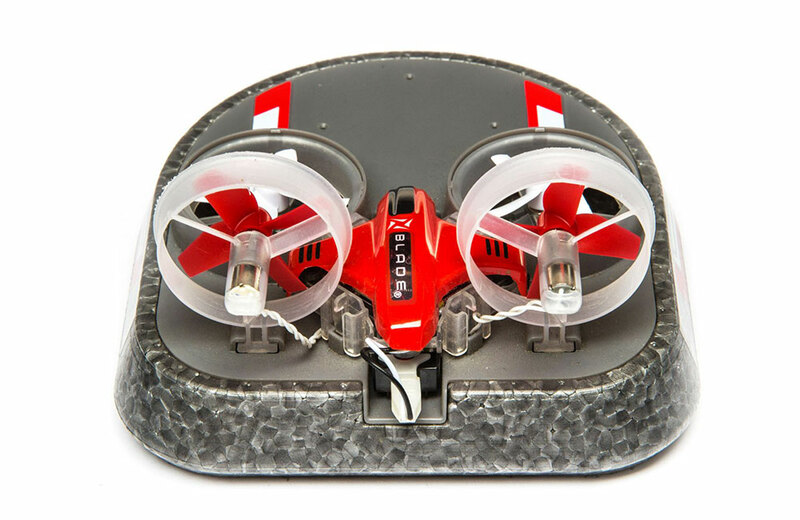 Just like a cat, the Inductrix FPV + will always land on its feet. 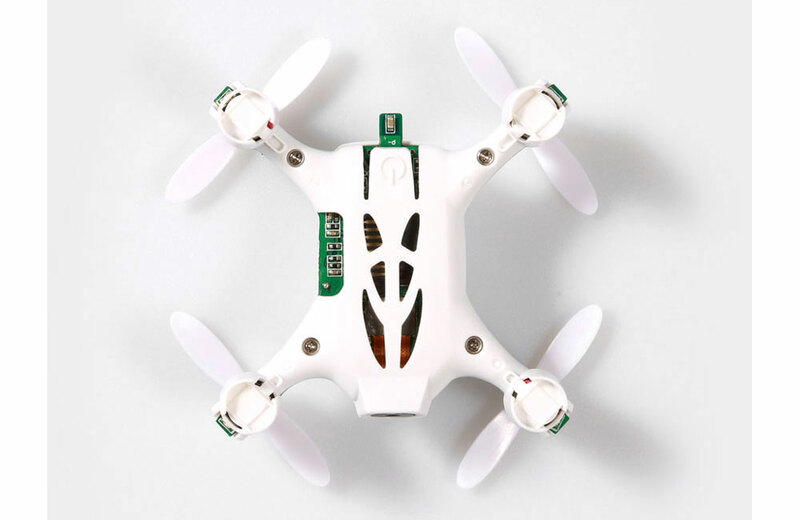 Power System is fed by a 1S 500mAh that drives new 8mm brushed motors and larger propellers for a much more powerful flight experience. 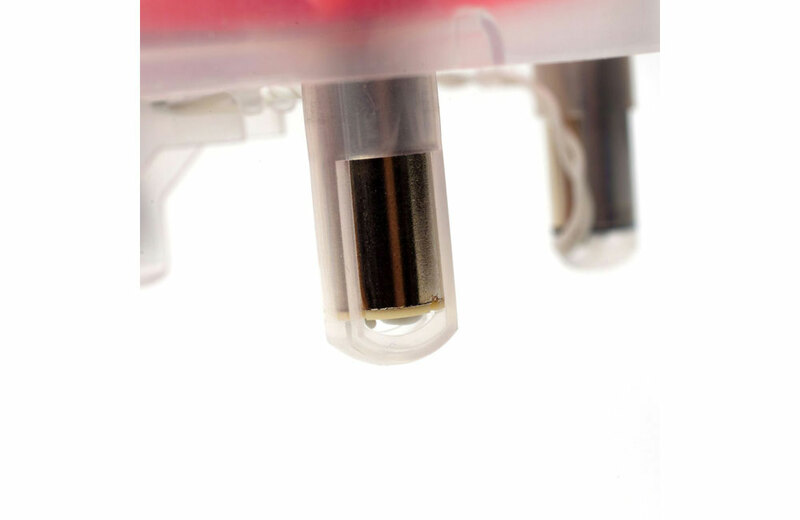 The larger High-Current PH2.0 UM Connector delivers consistent current to motors and electronics for long, reliable flight times form 4-6 minutes. 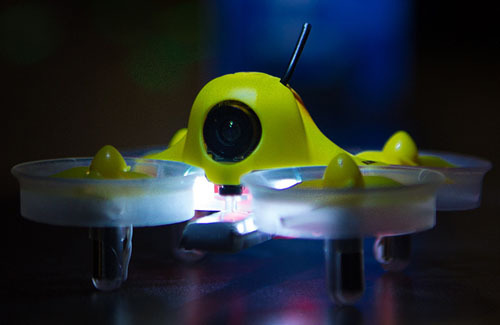 Camera & Video Transmitter installed micro FPV camera is now smaller without sacrificing crisp and clear performance. The lightweight combo touts a 32 channel, 25mW video transmitter, a light and durable dipole antenna, and the 600 TVL camera has a 140� field of view. LED Tail Light installed LED tail light provides a vibrant indicator for line of sight flying, or flying with friends. With 5 colors to choose from, simply select which color suits you straight from the sticks on your transmitter. The Blade Inductrix FPV + quadcopter is the next generation of micro FPV drones. 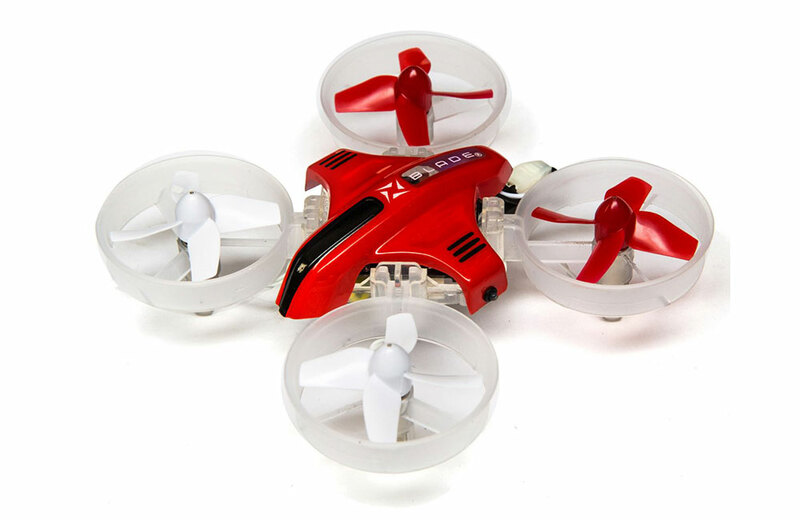 Building on the success of the Inductrix and Inductrix Pro, this 8mm motor version comes ready to FPV right out of the box with zero fuss. 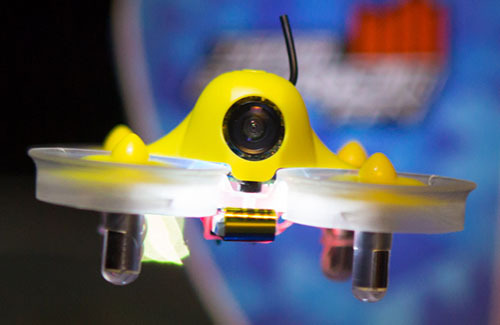 With its integrated camera/video transmitter, Spektrum 4.3" monitor (Sold separately) with Digital Video Recording, and pre-installed LED tail light, it has everything you need and more for FPV fun. 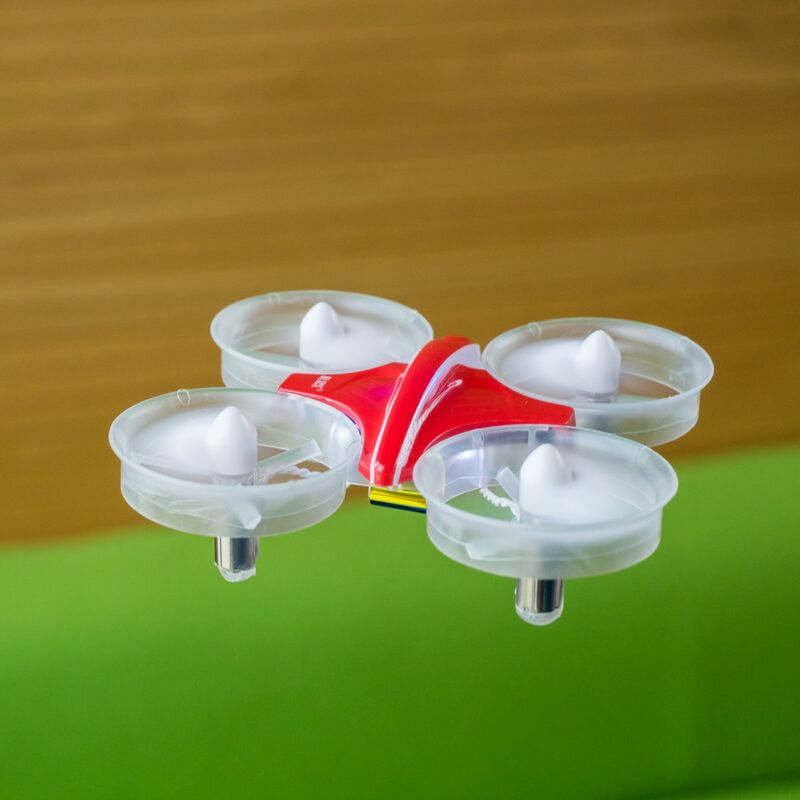 SAFE technology makes flying simple while the ducted propeller design allows you to bounce off walls and objects without crashing! 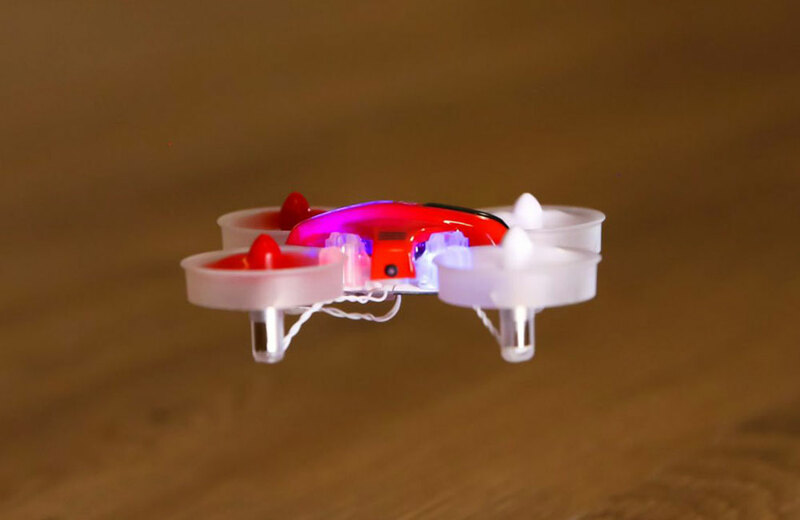 Innovative Meow Mode allows you to flip the quadcopter back upright after a crash by quickly reversing the motor direction. 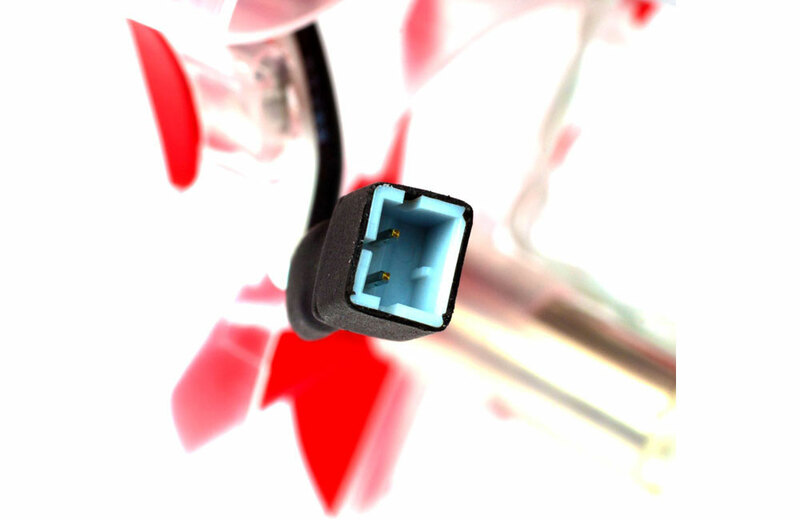 One of the most unique products on the market, the Blade�Inductrix�Switch is truly the best of both worlds. 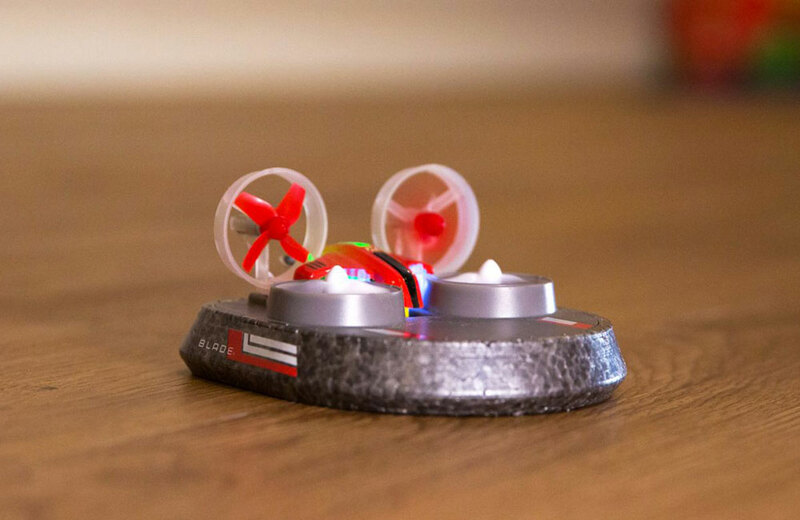 This Innovative design builds off the successful Inductrix platform with an exclusive snap-together design that quickly changes from a micro drone into a hovercraft! It's literally two vehicles in one! 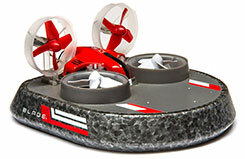 Hovercraft mode allows you to drive on multiple surfaces and with a simple stick command transforms into a flying drone. It takes seconds to convert with no wiring changes required. The durable moulded plastic design and foam skirt can take punishment for worry-free flights and drives. 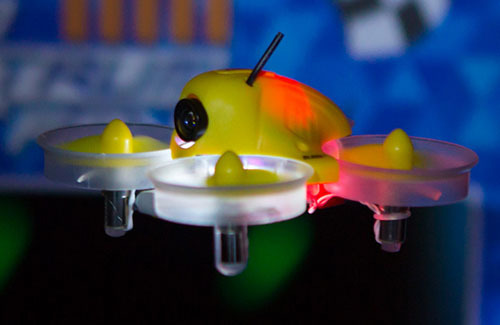 Programmable LED lights make racing fun. 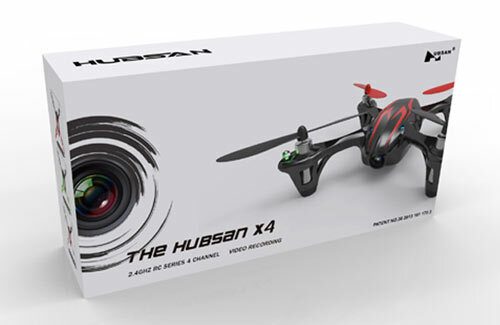 Better yet, everything you need to start flying and driving is included in the box and a wide-variety of parts available means repairs are easy. 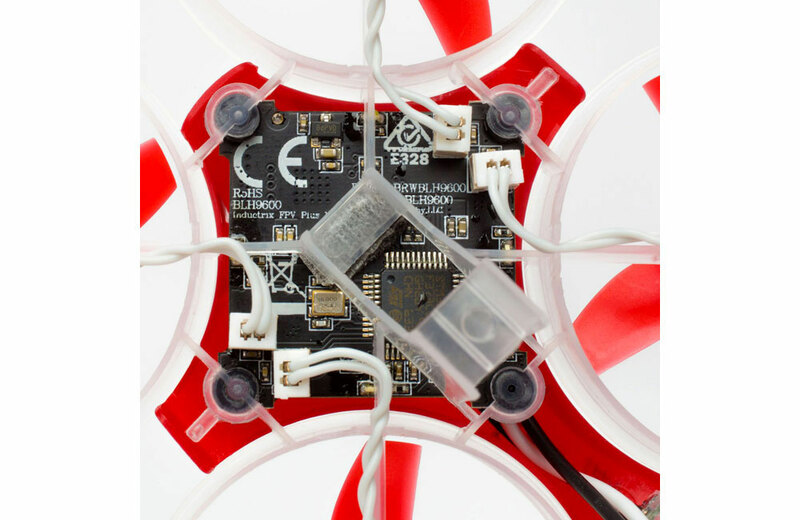 Hovercraft and Inductrix�all-in-one - Modular design makes it easy to change modes on the fly. • USB charging cable allows to charge by computer. 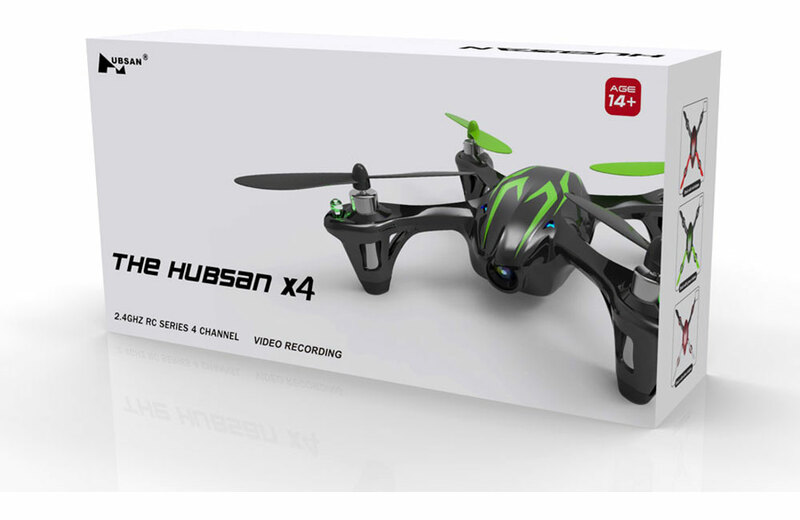 The X4 comes ready-to-fly with a 4-channel LCD display 2.4gHz transmitter that features adjustable sensitivity modes for normal or expert flight. Charging for the 380mAh LiPo battery is handled via a USB charge cable. 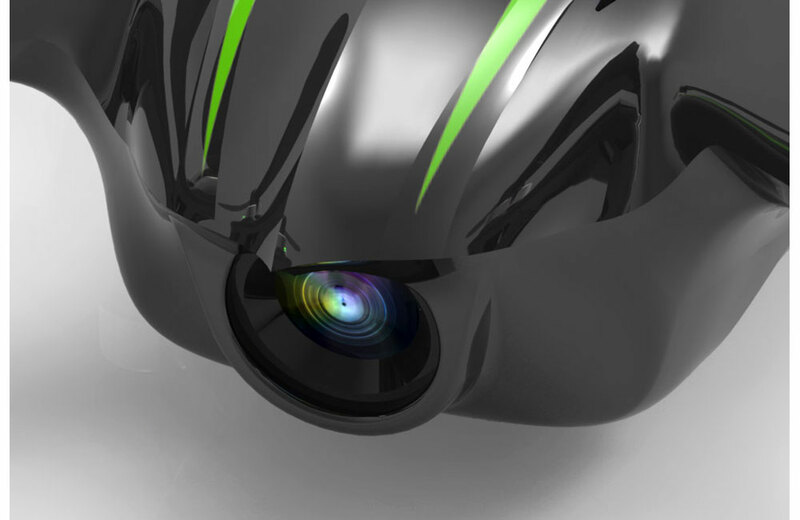 The H107C version includes a front mounted camera with a video recording function. 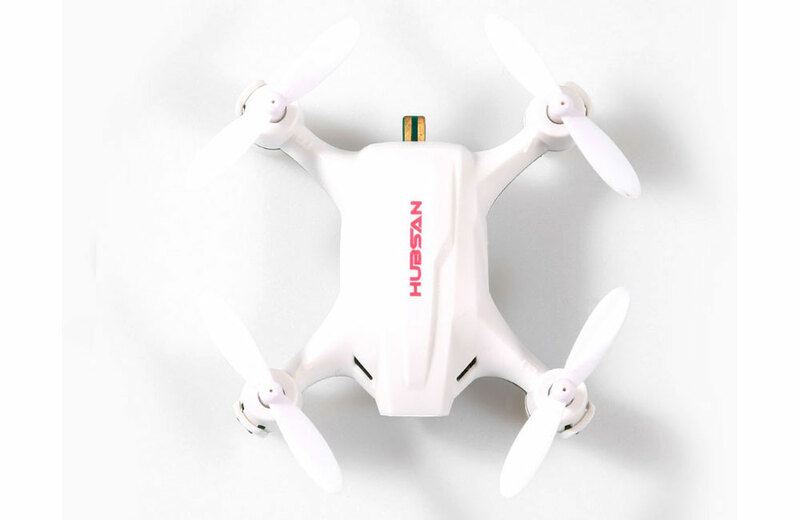 Just insert a Micro SDHC (not included) and experience birds-eye views from your Hubsan quadcopter. 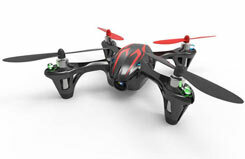 To balance the extra weight the H107C is fitted with larger more powerful motors.